The island of Sri Lanka is known for its large tea plantations, whose main variety once gave the name of Ceylon to the island. Although there are plantations throughout the country, most of them are concentrated in the interior, in the highlands. Sri Lanka is also known for its production of cardamom and cinnamon, which can be found in many of the markets of some cities such as Colombo and Kandy. Other popular products include precious stones, which are one of the most common purchases in the country. Handmade crafts are also widely available in Sri Lanka, the face of Ambalangoda being the most famous, as well as wooden figures. In terms of clothing, the most sought after is batik clothing, which is considered an art form. Some of the best places to go shopping in Sri Lanka are: Colombo, in the neighborhood of Pettah, where you can find a great variety; Hikkaduwa, where there are several souvenir shops; Kandy, with its markets and shopping centers; or Batugadara, where you can find precious stones at a great price. Remember that you are often welcome to negotiate on prices. 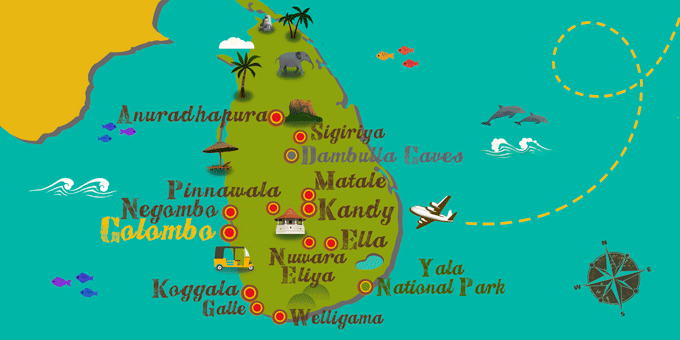 If Sri Lanka has caught your attention, leave us your number so we can call you to discuss the voyage that awaits you.